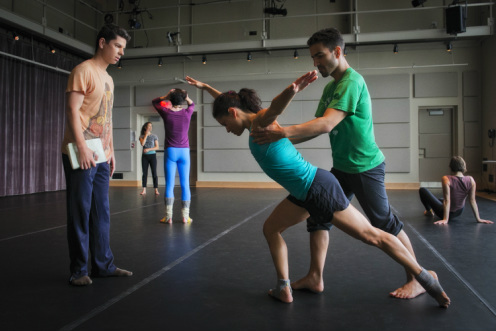 Students have the opportunity to learn a section of Dušan Týnek’s Widow’s Walk and perform alongside Dušan Týnek Dance Theatre for a local professional engagement. A company member would arrive in advance of the engagement to audition dancers and then lead approximately one week of rehearsal to teach the material prior to the company’s arrival for final studio rehearsals followed by tech and dress rehearsal. in advance of rehearsals with the company.